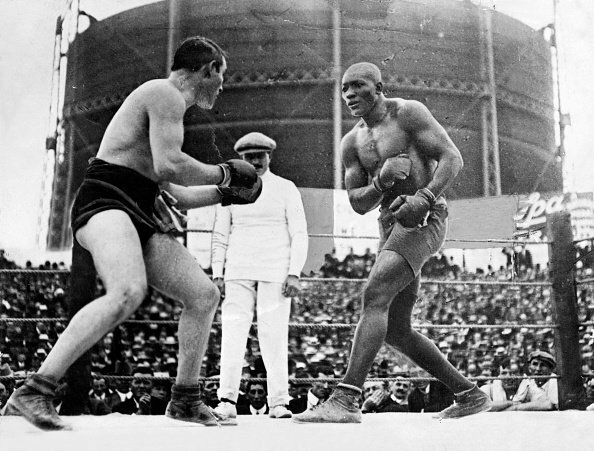 From start to finish, the December 26 fight between Jack Johnson and Tommy Burns was emotionally charged. 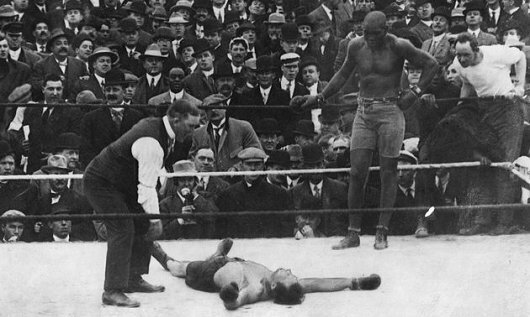 It was the first time a black fighter had the shot at the heavyweight title. It was all because another fighter, Jim Jeffries, the then-undisputed best fighter in the world, refused to fight Johnson. He’d retired years earlier and had nothing to prove. Plus, he’d packed on about 100 pounds of body fat in retirement. 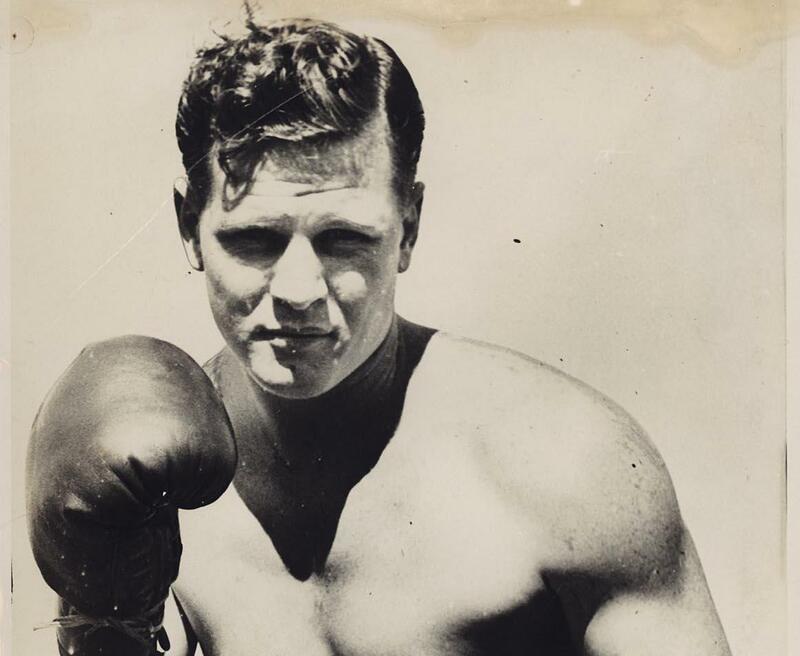 But, the Canadian fighter Tommy Burns, who was not retired, was willing to fight anyone, anywhere, who desired to wrest the heavyweight belt from his waist. 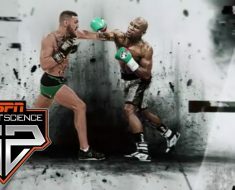 Squaring off in Sydney, Australia, the pair battled 14 of 20 rounds, ending in a technical knockout (TKO) when Burns could hardly stand by the end. The ruling of the fight did nothing to ease racial tension, embroiling white to regain their title. Journalists and the people of developed nations filled the newspapers with racially-charged sentiments towards Burns and the black community, but nobody could change what was a fact. A badass black fighter just took the heavyweight title from the white champ. On March 31, 1878, in Galveston, Texas, John Arthur Johnson came into the world punching and screaming. He rose to his corner in boxing during one of the most racially charged times in American history. The United States was still recovering from a bloody civil war fought to free the enslaved people from the white majority. In fact, Johnson’s parents, Henry and Tina Johnson had been slaves when they were younger. Johnson outgrew his parents in stature by the time he finished his growth spurt. His father was only five-five, Johnson wound up a hair over six feet tall. He was a big dude. He dropped out of school to take work, first at the docks, then the tracks in Dallas. There he learned to box and started competing. Johnson’s style of fighting, unique at the time, was to first wear down his opponent with defensive moves, then go for the win once his opponent had no fight left. Born Noah Brusso, June 17, 1881, Burns was as sportsmanlike as any athlete of his day could be. 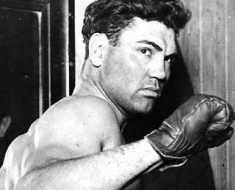 He was a Canadian, born in Ontario, the only Canadian to ever hold the heavyweight title. Burns was the first heavyweight to fight a Jewish fighter, but he was willing to fight anyone. Burns often sparred with black partners, and even married a black woman, although it did not last. 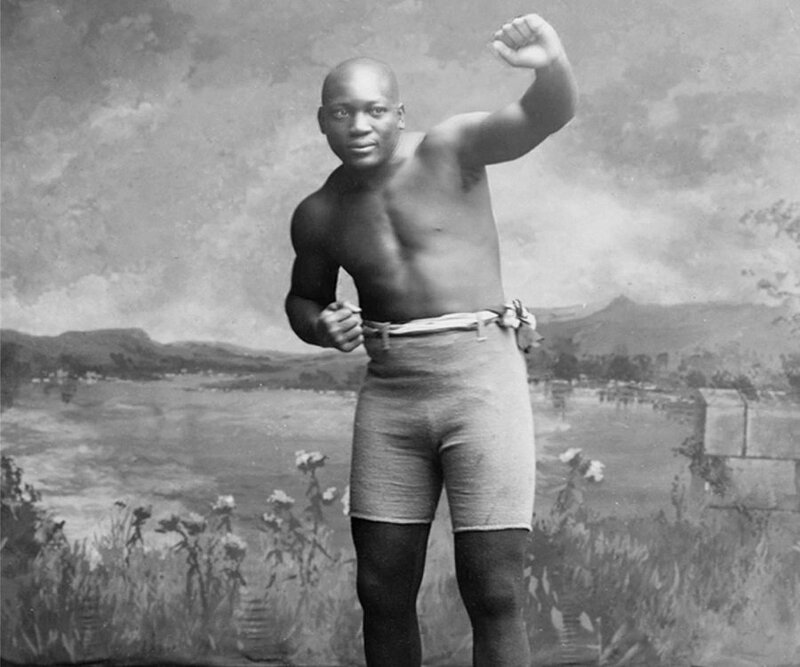 During his time as professional fighter, Burns would fight half a dozen racially mixed fights leading up to the Johnson-Burns fight. Johnson, who was on the lamb over charges of “transporting an unmarried woman over state lines.” He was to serve a one year prison term for his crime. Instead, he fled to Europe, fighting around the world. Prior to Burns, he’d tried to solicit Jim Jeffries to fight for his title, but Jefferies refuses. So, Burns and Johnson met at Rushcutters Bay at the edge of Sydney the day after Christmas in 1908. 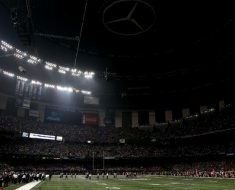 Some 20,000 spectators turned out to cheer on Burns, the six to four favorite. 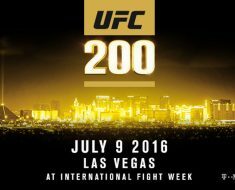 Burns would walk with $30,000 from the fight, Johnson only $5,000. In the first round, a sloppy breakup by the ref opened Burns for a blow from Johnson, dropping him to the canvass for an eight count. He got up and they pounded it out for twelve rounds, stopped by the police, and ruled a TKO by the judges in Johnson’s favor. Racists lost their minds, screaming for Jeffries to fight Johnson and restore the title to white fighter. For the pride of whites everywhere, Jeffries did finally agree to fight Johnson in 1910. He lost 100 pounds to get back into shape, but still lost. Johnson became the first boxer to knock down Jeffries in that fight. The fight, which ended when Jeffries corner threw in the towel, prompted rioting in racially tense part of the United States. In 1920 Johnson returned to the States, served his time, and lived until 1946. He 68 when he died in a car accident. For his part, Burns worked in promotion after his boxing career ended in 1920. He died in 1955, at age 73.